Toshiba EC042A5C-BS comes with two modes such as microwave and convection in one unit. You can use microwave or convection cooking as per your requirements. It also has sensor cooking and reheating functions. The Toshiba convection microwave oven comes with auto menu for roasting, baking and defrosting. It has black stainless steel exterior that measures 21.8 inches by 21.5 inches by 13 inches. It has a large 1.5 cubic feet capacity cavity that measures 15.5 inches by 15.35 inches by 10.2 inches. The turntable has 13.6 inches diameter. Since this Toshiba microwave has stainless steel body so it is really very easy to clean outside or inside. 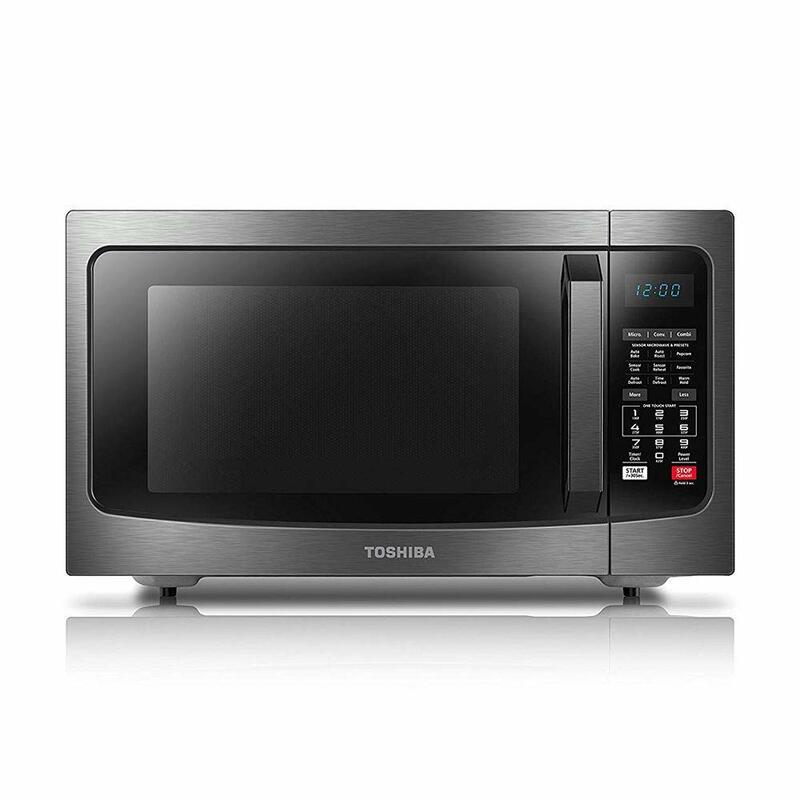 This is a full feature Toshiba countered microwave oven that has convection feature also. Toshiba EC042A5C-BS has 6 presets and sensor cooking, pre-programmed sensor menu for the best heating of popular foods like pizza, potatoes, vegetables and many others. Toshiba EC042A5C-BS convection microwave oven has black stainless steel exterior and interior. It also comes with more/less buttons to maximize or minimize cooking time. Toshiba EC042A5C-BS microwave oven comes with grill rack for use in convection mode. It lets you setup to three favorite time/power settings. It also comes with a digital control panel with interior LED light.